Home Security Systems Memphis: Summertime Home Security! Summer is here, and the hot temperatures draw you outside and away from the home into the great outdoors. Summer is a great time for beaches, hikes, picnics, vacations, and more. While you are out enjoying the sun, you want to make sure that your home is protected. According to a 2014 study, household larceny and burglary rates increase in the warm summer months. This report showed that burglaries are 10.5 percent more common in the summer than the winter, and other crimes rose as well, including violent crimes and aggravated assault. 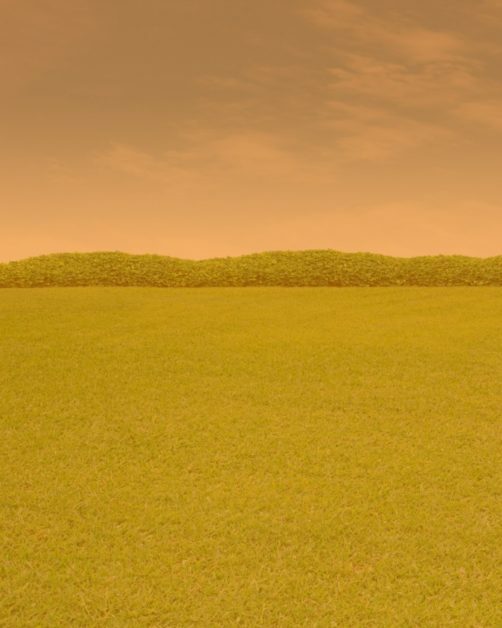 Knowing that crime rates increase in the summer should make you extra vigilant in the warm months to make sure your home is safe and protected. Read on for how to keep your home safe this summer. Doing a thorough assessment of your home can help you identify potential areas of weak security. Walk around the perimeter of your home and assess how your home may be viewed to a potential burglar. Outdoor Items: Do you have bikes, tools, or other yard supplies laying out unsecured? Unsecured items in your yard can draw potential thieves to your home, and make it more likely that they may attempt to access the inside of your home. In addition, tools outdoors may be the perfect item a burglar needs to try to pry open a window or door, and a ladder left out only helps intruders access upper windows. Secure your outdoor items to keep them safe and to prevent them helping an intruder access your home. Trees/Bushes: If there is dense foliage around your home it can give an intruder a place to hide, and shield their movements from neighbors or the street. While trees and bushes can add beautiful landscaping to your yard, making sure that your home is visible to passersby is a good idea. If you have any trees close to upstairs windows that an intruder could climb, consider pruning them back to eliminate this access point. Windows: In the summertime it can be easy to leave windows open to let in the cool night air. Make sure you are closing all windows that a thief could access, and that they have locks as well. Walking around your home and really examining each window can give you a lot of insight into the security of your home. Doors: Most of us remember to lock our front doors, but homes usually have more than one entrance point. A back door could be left unlocked after an extended sprinkler session in the backyard, or a back garage door might be unlocked after getting out toys. Going in and out of the house is common in the summer, so make sure that you are checking all of your doors to make sure they are secure. 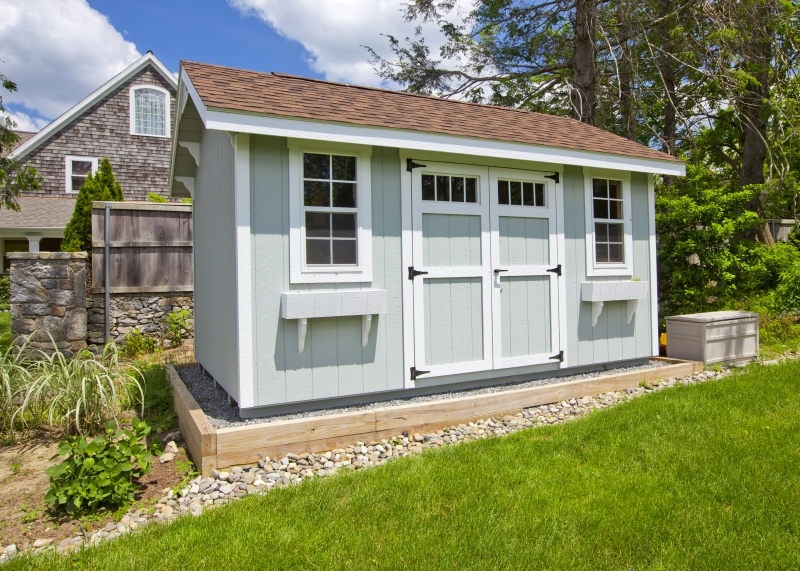 Shed: If you have a shed in your backyard you are most likely accessing it all summer to get out the lawnmower, weedwacker, and garden tools. All of these items are expensive to replace, and easy for a thief to take. Secure your shed and make sure it is always locked. Fences: If you have a fenced yard, be sure that it is secure as well. Not only might you have expensive patio furniture in your yard, but a fenced yard gives cover to a thief that might try to enter your home through the back. Gates should have high-quality locks, and be kept closed and locked when not in immediate use. Garage Doors: Garage doors can be another point of entry for a potential intruder, and should be secured. If your garage doors open manually, you need to always be sure to lock them after use. Garage doors are often left open in the summer as bikes, scooters, motorcycles, boats, and more are being taken in and out. Make sure your garage is not an access point for potential thieves. Lights: Make sure to also walk around your home at night. Areas that seem visible and exposed during the day can be shrouded in darkness at night and provide cover for a potential intruder. Doing assessments during day and night ensures you identify all of the weak areas your home may have. Basement: If you have windows that are right at ground level, or egress windows that are hidden by window wells, you need to make sure they are not easy entry points into your home. Okay, you have walked around your home, both during the day and at night, and you have identified several areas that don’t seem as secure as you may like. Now it is time to take action and really get your home safe for the summer. Taking these steps can give you the peace of mind that you are protecting your home, valuables, and family. Motion Lights: Remember how we talked about those dark corners and areas that become the perfect place for an intruder to access at night? Using motion sensor lights can help illuminate these dark areas, and can give potential burglars a shock when they come on. Motion lights keep your home well-lit, and can indicate to any potential thief that your home is monitored. Home Security System: The best step you can take for increasing your home’s security and preventing intrusion and theft is installing a home security system. Fifteen Alarms can help you with a brand new system, or we can upgrade your existing equipment with no contract! System Displayed: Use decals, yard signs, or any other advertisements you can to show that your home is protected by a security system. Burglars are much less likely to attempt to gain access to your home if they know you have a security system. Window Sensors: Putting sensors on every window that alert you when the window is opened is key to summer security. Especially for windows that are right at ground level, this gives you the protection you need to know if someone is trying to access your home through your windows. Window sensors are part of Fifteen Alarms wireless security package, and more can be added as needed. Doors: The first step in door security is making sure you always lock your doors. 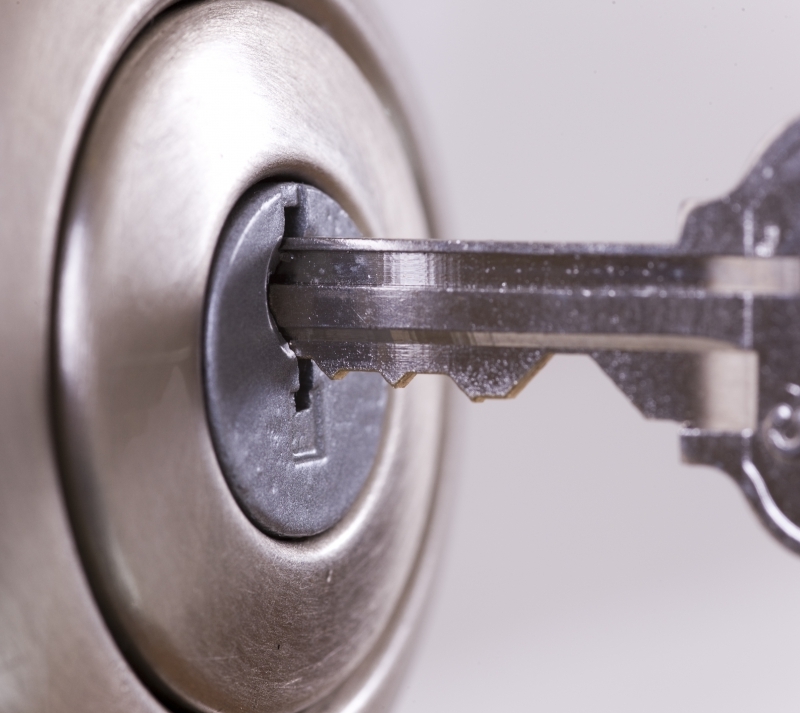 The next step is ensuring that you have appropriate deadbolts and locks that really keep your door secure. Door sensors as part of your security system will alert you if anyone tries to open your door when your system is armed. Sliding Door Locks: Along with your regular entry doors, sliding glass doors can also become an easy target for an intruder. These doors usually come with flimsy locks that can easily be broken, and you should consider adding a security bar. Sensors on your sliding glass doors are also essential to keeping your home safe and you alerted if anyone tries to gain entry. Avoid Home Looking Vacant: Especially if you are taking a much-deserved, long summer vacation, you don’t want your home to look like no one is there. Having your mail paused, and your lights on can keep your home looking lived in. Be a Good Neighbor: Having good relationships with your neighbors can mean a lot for your home’s security. If your neighbors know the inhabitants of your home, they can recognize if someone unfamiliar is trying to access your house. Your neighbors can also help with your mail, pick up packages, and help your home look lived in. Be Smart: New wireless technology allows you to be connected to your home, and it’s security, even when you’re away. Keeping the lights on is easy with a remotely connected security app, and even seeing who is at the door is possible when you are on vacation. If you want the peace that comes from being able to monitor your home remotely, it is time to get a smart security system! Knowing that crime increases during the warmer months should be the motivation you need to take action and secure your home this summer. 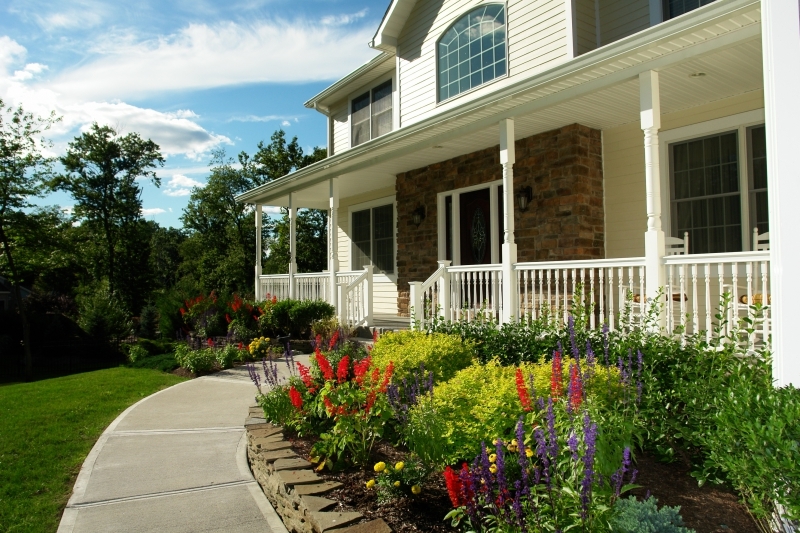 Keep your home safe this summer with a new or upgraded security system from Fifteen Alarms! We make it easy to keep your home protected, and can work with your existing security equipment! No contract, low rates, and the ability to work with any system are what make Fifteen Alarms your Memphis Top Rated Local® home security company. Call us today to get started, and enjoy your summer knowing your home is protected!